The Coptic alphabet was in use from the 1st to 17th century AD. It is an adaptation of the Greek alphabet with the addition of signs from Demotic language to represent Egyptian sounds the Greek language did not have. In biblical studies, the importance of the language is in the study of early manuscripts of biblical texts which are written in this language. 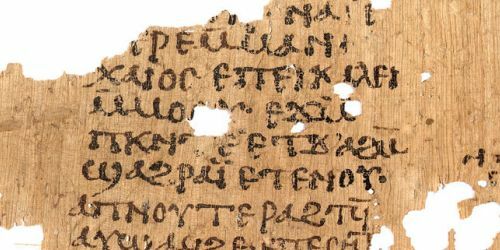 Another important aspect of the language is the Coptic version of the Gospel of Thomas important in the studies of the Historical Jesus.